How to Determine City Bike Size? Frame Size: Frame Size refers to the length of the seat tube. It is measured from the center of the crank to the top of the seat tube. 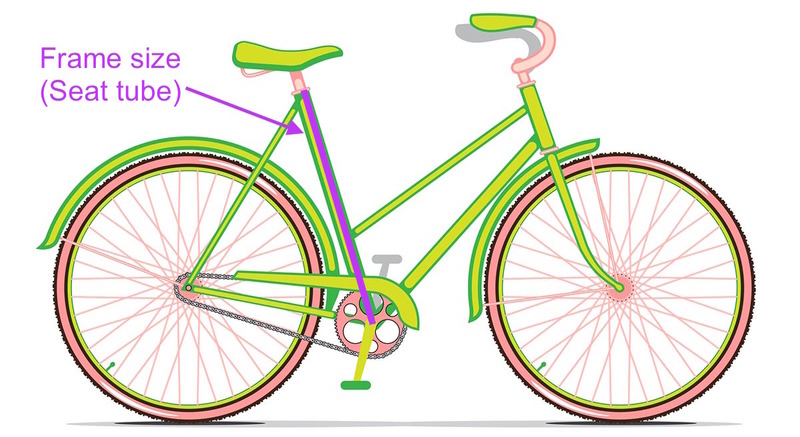 The frame size is most often printed on the bike's frame. This city bike size chart is unisex.